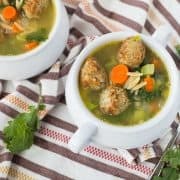 This quick, healthy, easy meatball soup with whole wheat orzo and vegetables will warm you on the chilliest of days without leaving you with that heavy, over-full feeling. My life is all about soup, slow cookers, and easy dinners lately. Ben’s job is busier than ever and he’s home for dinner two nights a week, if we’re lucky. Soup is the perfect solution because it can easily be kept warm or reheated when he gets home. Not only that, but it’s also typically a healthy option. 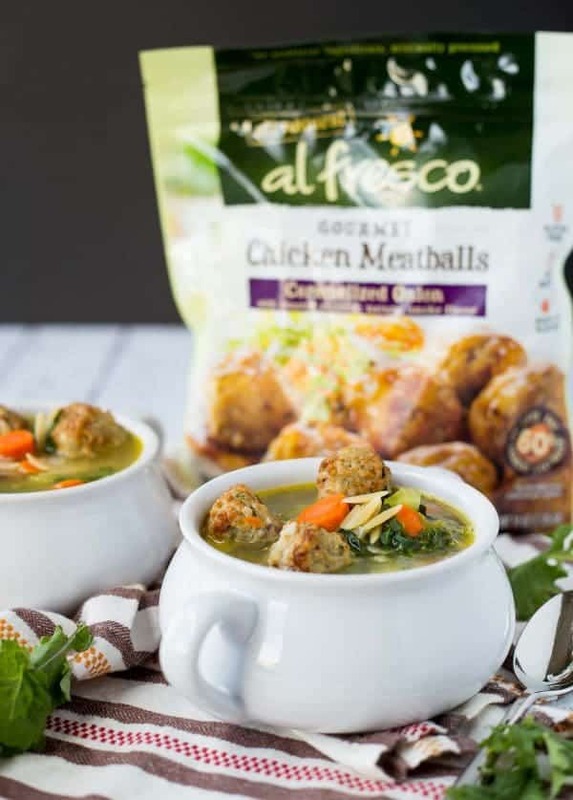 I’ve teamed up with al fresco® to create this easy meatball soup recipe and to chat with you a little about staying healthy. I recently rejoined the gym after our move (and taking a little too much time off) and I feel like I’m finally getting back in a groove. The kind of groove where if I go a couple days without working out, I start to feel a little crazy. And on those days when I don’t feel like working out? I think of the kids (I wrote that post three years ago but it still applies!). I remind myself that living a healthy lifestyle won’t only (HOPEFULLY) make my pants a little looser, but it will also do my body lots of favors that can’t be seen by the naked eye. I remind myself that personal wellness is of utmost importance so that I can be around for a long time — my family needs me. A balanced lifestyle can even contribute to breast cancer prevention, something al fresco is also passionate about. They’ve partnered with The Ellie Fund to #FightBackBetter and provide meals to breast cancer patients. If you’re not familiar with The Ellie Fund (it’s okay, I wasn’t either! ), their mission is provide essential support services for breast cancer patients to ease the stresses of everyday life, allowing the focus to be on family, recovery and healing. They provide transportation to medical appointments, childcare, housekeeping, groceries and nutritious meals free of charge through their Healing Together Patient and Family Care Program which helps to relieve a patient’s burden while in treatment. PS: I’m loving all the giving-back brands are doing…what a great way to go into the Thanksgiving season! 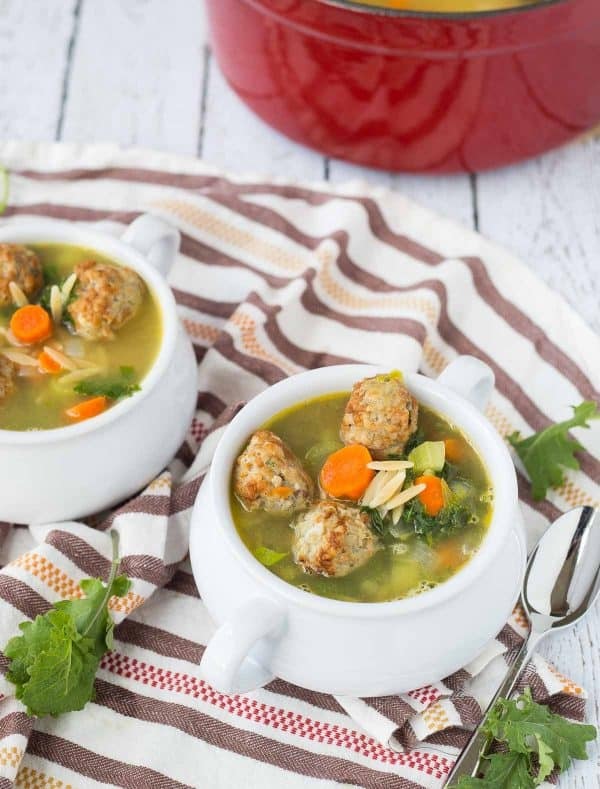 This soup comes together in about 30 minutes thanks to al fresco’s chicken meatballs. They’re flavorful and the perfect addition to this cozy, healthy soup. I’ve been using them in soups, stir-fry dinners, and sheet pan meals. It’s fabulous leftover, too! I’d love to see you guys make this soup or another healthy creation and share it on social media! 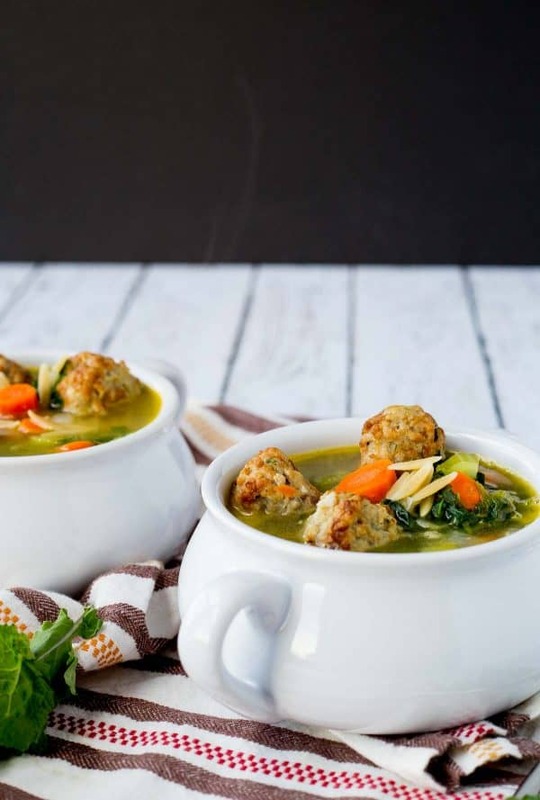 This quick, healthy, easy meatball soup with whole wheat orzo and vegetables will warm you on the chilliest of days without leaving you with that heavy feeling. In a large pot, heat oil over medium heat. 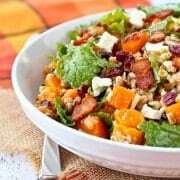 Add onions, carrots and celery and cook, stirring frequently, until starting to soften (3-4 minutes). Add meatballs and continue to saute until onions are translucent, 4-5 minutes. Add kale and stir until wilted, about 2 minutes. Add broth and reduce heat to high to bring to boil. Once boiling, add orzo and cook for 9 minutes or as directed on package. Add water as necessary after pasta is cooked to thin soup to desired consistency. 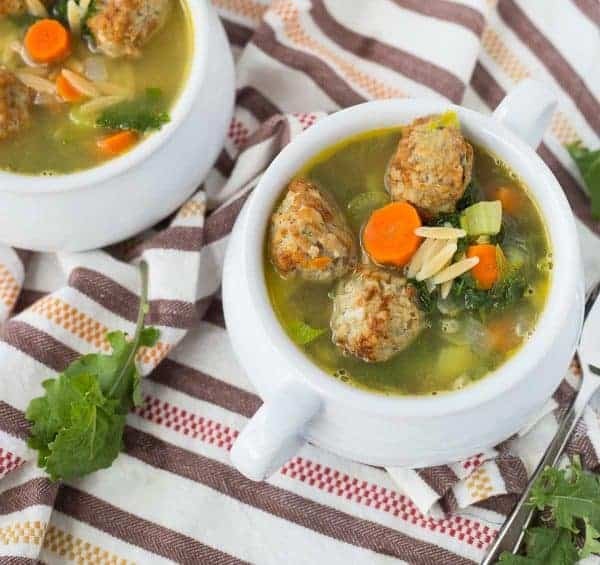 Verdict: I loved this easy meatball soup — it’s filling but also healthy which I consider a win! Husband’s take: He loves heartier soups and this one fit the bill. He took leftovers in his lunch. Changes I would make: None are necessary but feel free to have fun with different vegetables or different types of pasta — you can kind of make this a clean out the fridge meal. 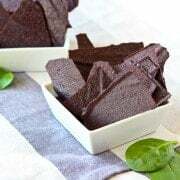 This post is in partnership with al fresco. All opinions are my own – thanks for supporting Rachel Cooks by reading about brands I use and love in my own home. I need a bowl of this to warm up! I need a large bowl of this soup! Me too! Chilly day here in Michigan. I go crazy too when I don’t work out! I love this campaign by al fresco and the work The Ellie Fund is doing, and it’s always a good reminder to take care of ourselves! That’s a good way to look at working out Rachel! My family needs me. I like it. And I like this soup too. Gimme!! I love meatballs, and I love that this company is so committed to such a wonderful cause ~ I look for these at the supermarket this week!